As a seasoned Project and Account Manager, colleagues frequently ask, “what makes a good account manager”? While my experience and feedback may help guide those new to an account role, I also like to provide additional alternative facts for those who need more than hard cold, time-tested truth. If you’re looking for more than good communication and inter-personal skills, organization and proactivity tips, as well as the ability to lead a team to success, these alternative facts may be what you need to hone your own account management skills. 5) Clients are always impressed with one’s ability to remain cool under pressure. This includes exhibiting a calm demeanor by wearing your pajamas to a new client kickoff meeting. What better way to show how calm and collected you are than by wearing your best pin-striped PJs for a great first impression? I can’t think of any. 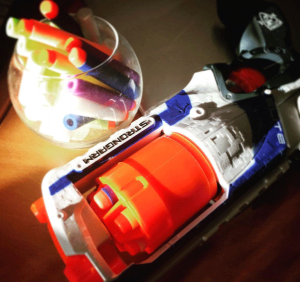 4) Nerf gun battles that interrupt meetings are welcomed. Prospective clients love them. And why wouldn’t they? An epic Nerf gun battle showcases a team’s agility, on-your-feet thinking, ability to strategize, and maintain alliances. All important aspects of good leadership and teamwork. 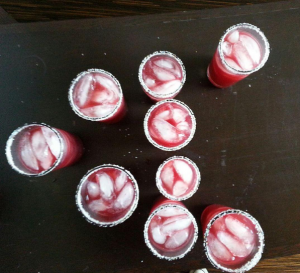 3) Drinking during a meeting encourages open dialogue and creative thinking. When you shuffle in the mimosas, clients know you’re ready for business and a good brainstorm session. Next time you’re feeling like you need a little help opening up the conversation, grab the champagne and let the creativity flow! 2) This next strategy should be reserved for only the most talented account managers. Mocking your clients. The technique of mocking your clients requires great skill, but when executed correctly, can not only prove you are superior in your thinking, but that you are also a lot of fun to be around. Win, Win. 1) Ignoring phone calls. Clients love the idea of exclusivity and knowing they have a small piece of the pie that so many others don’t. Next time your phone rings, think twice about picking it up and let it go right to voicemail instead. It’ll keep your clients hanging and wanting more! These #alternativefacts will certainly make your agency great again!